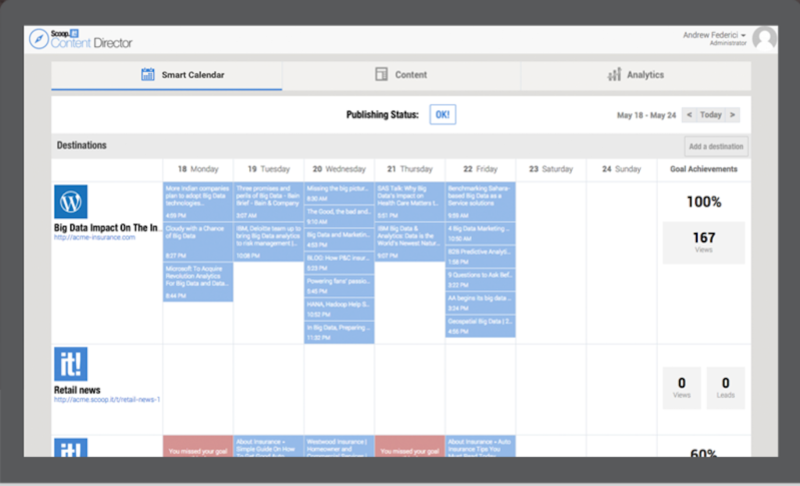 It doesn’t matter if you’ve been a professional content writer for six months or six years, content burnout can hit you with very little notice. One day, you’ll simply wake up and find it impossible to develop a good sentence or string coherent thoughts together. Is your career over? Certainly not! But if you want to get back on track, you’ll need to understand what’s happening and how to regain your creativity. According to one report, the amount of information available on the internet will increase six-fold by 2020. In other words, there’s going to be a huge demand for quality content in the next four or five years. At the same time, this also means that more content is being produced and published now more than ever before, making it more challenging to create content that actually stands out and gets noticed by your target audience. The ever-increasing demand for content is good news if you’re a content writer. However, it also means that your audience is overwhelmed by content and likely experiencing content fatigue, which can be challenging to break through. Content burnout, more traditionally known as writer’s block, is a devastating reality for thousands of writers. You stare at your screen, your fingers rest motionless, and your mind wanders. Pretty soon you find yourself scrolling through social media, watching YouTube videos, or heading to the kitchen for a snack. Eventually, you settle back into your chair, coax yourself into writing, and then lose focus again. This familiar process repeats itself over and over again until you’ve wasted precious hours, or even days. That’s the trouble with content burnout. You find yourself unable to write, even when important project deadlines are staring you dead in the face. It can cost you money, clients, and even your reputation. 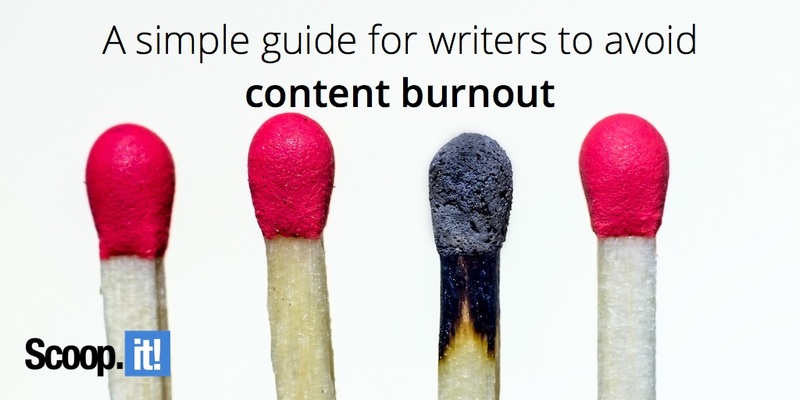 And when you look at content burnout in these terms, it becomes even more paralyzing. The good news is that there are cures to content burnout. It isn’t some fatal disease that will force you to change careers. When approached in the proper manner, it’s nothing more than a blip on the radar. Here are some helpful tips for preventing and overcoming content burnout in just about any situation. Few things are more dangerous for a writer than holing yourself up and ignoring the outside world. It doesn’t matter how creative your mind is, you can’t be an effective writer if you aren’t immersing yourself in other people’s work – both online and offline. There’s something to be said for bookmarking your favorite writers and following their work, but don’t get super familiar with just one individual. Mix up the content you’re reading on a regular basis and keep your mind open to new styles and ideas. The problem many people have is that good ideas come to them when they least expect it. That’s why you need a method for recording your creative thoughts anywhere and everywhere. 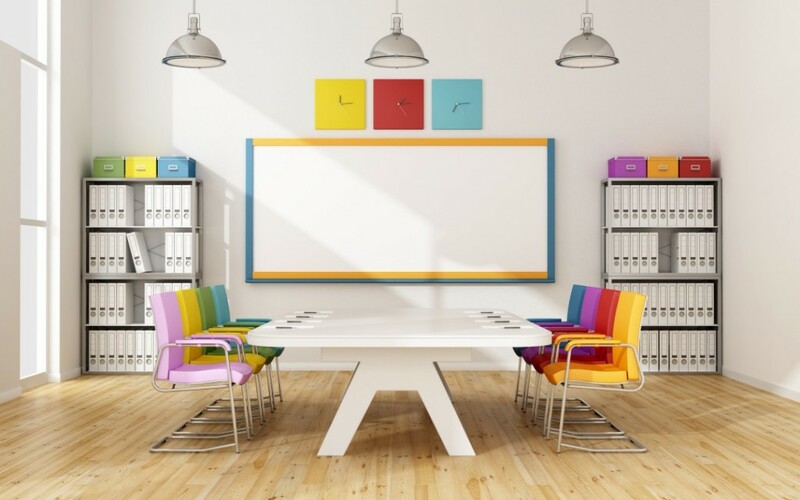 In order to be prepared, keep a whiteboard in your office and a dedicated “note” on your smartphone. As soon as an idea pops into your brain, write it down. You can then return to these ideas when you’re running low in the innovation department. While you never want to copy someone else’s ideas, you can use other articles and resources as inspiration for your own. For example, find an article that’s popular and then dig deeper. Find a single point or element of an article that you find interesting and then create an entire article or post around this idea. Another option is to take a popular article and spin it. Take the contrarian stance and offer the other side of the picture. You don’t have to take an accusatory tone towards the original author, but simply reveal the other half of argument. You can also curate other people’s content. Here’s a helpful article that explains how. Regularly switching up your work environment will allow you to avoid getting stuck in a rut. As a writer, breaks are your friend. It’s virtually impossible for anyone to write for hours on end without stepping away. In fact, some people suggest you should take a short break as often as every 20 or 30 minutes. Truth be told, it doesn’t matter what you do with your break. Simply walking down the hall to use the restroom can be enough to refresh your mind and keep you focused. Other times you’ll need a more substantial break, such as going to the gym or cooking lunch. The key is to have a set time limit for your breaks. It’s easy to turn a 20-minute pause into a two-hour time-killing break. Physically setting an alarm on your phone should keep you grounded. Even the greatest writers in the world get struck by content burnout from time to time. It’s not an isolated issue and you aren’t the first person to deal with it. Aside from being comforting, this means thousands of others have successfully dealt with this debilitating problem and know exactly how to treat it in an efficient and effective manner. Whether you suffer from an inability to concentrate on a daily basis, or simply struggle to brainstorm new ideas from time to time, it’s important that you keep these tips and strategies in your back pocket. Make a note, write them down, or record them on your phone. When content burnout strikes, you need to be prepared! 1 Comment on "A simple guide for writers to avoid content burnout"
quality and speed of writing.